This year’s Swiss Hansa Class Championships were held in Steckborn on Lake Constance on 11th to 13th of September last. 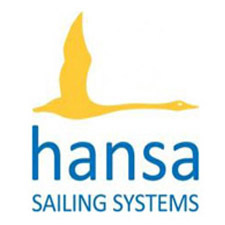 The event was organised by Sailability Switzerland and the Swiss Hansa Class Association and this year they chose Yacht Club Schaffhausen as hosts. 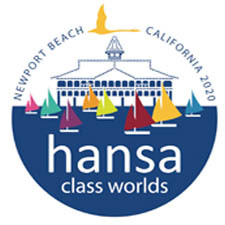 In changing the venue each year, it gives the Association the perfect opportunity to sail in other regions of Switzerland and to promote both the Hansa Class as well as the Association itself. Many thanks go to the members of Yacht Club Schaffhausen for the perfectly organised weekend, both on the water and onshore. Although the participators would have wished for a little more wind, the organisers were still able to complete five races in both the singles and doubles. Eleven teams took part in the doubles, including two from France and one from Holland. Eleven sailors took part in the singles competition. Overall Results in the Doubles Class: 1. Philipp Hügli/Dominique Scheller, 2. Akko van der Veen/Lisa van der Veen (Holland), 3. Lucien Bermont/Yves Guittard (France), 4. Jochi Röthlisberger/Willi Lutz, 5. Jean-Philippe Lepretre/Jérémie Chauchoy (France), 6. Alex Keeble/Ian Keeble, 7. Patrick Maurer/Matthieu Bernhard, 8. Denise Christen/Pascal Dürsteler, 9. Fränzi Primus/Michèle Schmid, 10. Ivo Stohler/Annelies Schäfer, 11. Florian Bürgi/Luis Schmidlin. Overall Results in the Singles Class: 1. Akko van der Veen (Holland), 2. Willi Lutz, 3. Lucien Bermont (France), 4. Matthieu Bernhard (France), 5. Claudia Schmid, 6. Ian Keeble, 7. Jochi Röthlisberger, 8. Annelies Schäfer, 9. Jérémie Chauchoy (France), 10. Yves Guittard (France).